For more than 90 years, Scholastic has been synonymous with anticipation and joy in the nation's classrooms. For generations, children have filled out book order forms then waited (usually not so patiently) for the books they ordered to come back to school and for the teacher to pass them out so they could start reading. It was like a mini-birthday party and everyone who got a book or books had a present. That same anticipation can now be felt at home thanks to the Scholastic Store. The Scholastic Store looks a lot like those Scholastic order forms you used to take home when you were a kid. The same color illustrations of the book cover are there on the screen. The same affordable prices are there. There are some changes of course. When a parent and child go to Scholastic.com, they get to choose the age of the reader they are shopping for, as well as the reading level for younger readers. At a single easy-to-navigate website, there are thousands of books that are age appropriate whether for pre-readers all the way up to adults. There are also toys and games for boys and girls of all ages at the Scholastic Store. There are media and software that focuses on education so parents don't need to worry about violence or language if their child is on the computer. Of course this is Scholastic, so there are also educational tools to assist parents as they work with their children or teachers and there are even education tools to help students learn how to gain more from reading and how to study. There are also gift ideas for readers as well as sales and bargains. The Scholastic Store also has many items that have impressed and excited kids for years. There are dictionaries and other reference books that excite kids and they also excite adults because kids are learning. Kids will also be excited by all of the Dr. Seuss books that are available from Scholastic. The Scholastic Store also has many book sets, just like they did when you were a kid in class. A kid can buy a set of books for a fraction of the price they would pay at a bookstore, and they can get all of the books at the same time. The child is happy that they have the books and the adult in their life can be happy that the books were more affordable than they would normally expect. The Scholastic Store offers many great books and other multimedia learning opportunities for children and adults alike. Just like their parents used to be excited when the teacher sent those book order forms home, kids today can feel excited about getting on line and looking through all of the opportunities to find fun and exciting books and other activities. Computers might change how we order the books, but nothing will replace the pleasure of getting and reading a new book. 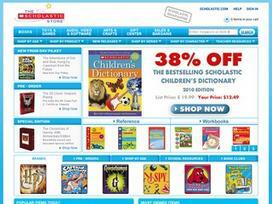 Share what you think about Scholastic Store, and your favorite ways to save there!